Les Grottes de Grimaldi (Baoussé-Roussé) Monaco: Imprimerie de Monaco, 1906-19. In the late nineteenth century, a series of caves was discovered at Menton, on the Adriatic coast near Monaco. The area is sometimes referred to as the "Balzi Rossi" or the “Baoussé-Roussé” (the Red Cliffs). Excavation of these caves was underwritten by Albert I of Monaco, and they were named the Grimaldi caves in honor of Albert’s lineage, the House of Grimaldi. 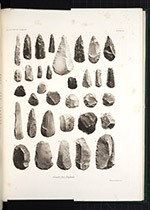 A number of Upper Paleolithic skeletons were found there, along with shell necklaces and belts, stone tools, and several Venus figurines. 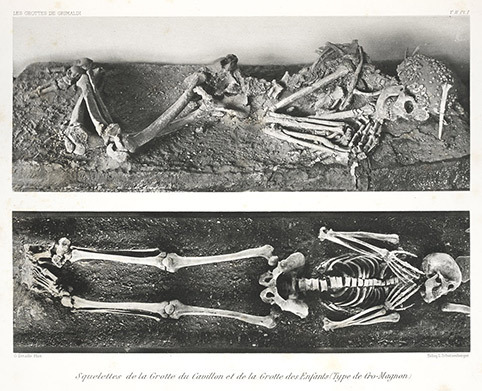 The skeletons displayed on the plate were Cro-Magnons. 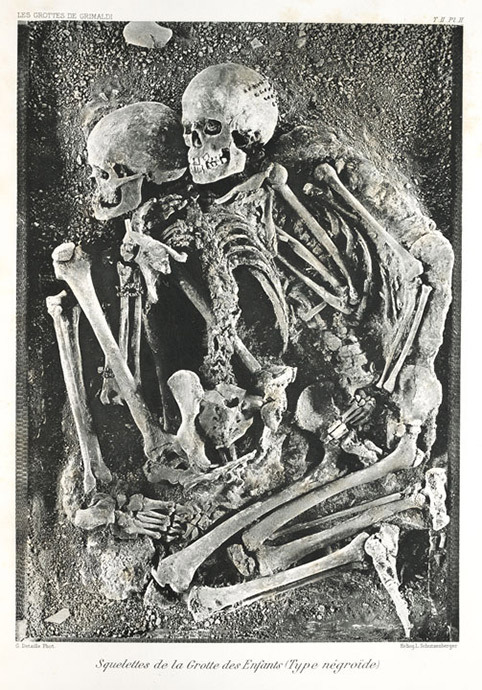 They date to about 27,000 years ago.